Morzine was originally a rural market town in the French Alps, consisting of a number of small villages where residents lived off the land. Things have changed, as nowadays, Morzine is a popular ski resort, close to the Swiss border and is part of the Portes du Soleil skiing area, which is linked by a variety of cable cars and lifts. The town itself spreads along a valley and doesn’t really have the feel of a ski resort, as it has historical buildings and the traditional weekly market is still held. There is a good variety of accommodation available including hotels or for those wishing to be more independent there are luxurious Morzine ski chalets. Besides skiing, Morzine is popular for its forested slopes with bike lifts and summer trails to enjoy and residents there make a living from both winter and summer tourism. The following is a selection of activities to enjoy during a stay in Morzine. Paragliding is available in both summer and winter, giving a range of beautiful landscapes to enjoy from above. Anyone new to the sport can attend a training course and experience a tandem flight with an instructor. Skiing and snowboarding is available for people of every experience level and other parts of the Portes du Soleil skiing area are easy to reach with the lifts and cable cars. There’s nothing like flying over the landscape in winter or summer in a helicopter, sitting back and enjoying the view from above. Experience a slower, silent pace in a hot air balloon. This exciting sport can be experienced in the summer months, with large boulders to climb, natural swimming pools to explore and lovely waterfalls. Experienced persons can test their strength in a steeper canyon with larger slides, abseils and jumps. Those with a love for the water can have an enjoyable kayaking or canoeing trip, as well as white water rafting. This activity is perfect for the summer months. A beautiful, 9-hole golf course is located close to Avoriaz in the middle of a pine forest. The club house offers panoramic views across the valley as well as a shop selling the latest gear. Mines d’Or Lake is located at the end of Vallee de la Manche, high up in the Alpine meadows. The artificial lake is stocked with rainbow trout and fario. 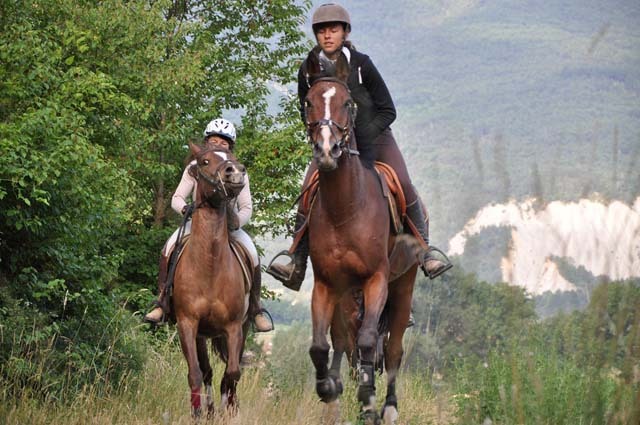 The Morzine Equestrian Centre is perfect for the whole family, offering riding courses and lessons for all ages. There are also a number of equestrian hikes to enjoy, as well as ponies and farm animals for the children. Perfect for adults and children, Cascade Aventure is a one-and-a-half hour rope circuit located ten feet above ground. For anyone not feeling quite that energetic, there are two zip lines which take visitors 40 m above the waterfall. The Morzine little train is a fun tour vehicle taking visitors from the Morzine Tourist Office to the Palais des Sports in the summer and from Super Morzine to the Pleney in winter. Whatever your choice of activity and whether it’s summer or winter, have fun on your visit to Morzine!